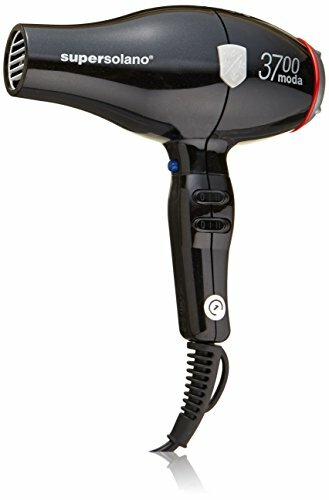 What Makes This a Preferred Hair Dryer to Use on Curly Hair? Do you wish that you could dry your curly hair faster and style it easier? Believe it or not, the problem might be you need an upgrade from the hair dryer you are currently using on your curly hair. That is why you should take a look at this hair dryer from Solano. It has just about every feature you can think of on it that will help you dry your curly hair quickly and help you style it easier too. Read along and take a little closer look at it with me. Having power is one thing but being able to control that power the way you want is another. That is why it’s great that Solano hair dryer has such a nice heat and speed selection. 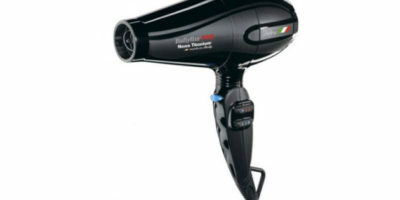 Included in its design are 3 heat settings and 2 airspeed settings that make it a very versatile hair dryer. Another thing that takes this hair dryer’s performance to a higher level is its ceramic/tourmaline technology. Ceramic coatings in a hair dryer tend to produce very even heat as it flows out of the barrel onto your hair. Tourmaline infusion is very beneficial too because it helps hair retain its important moisture and also helps to cut down on hair damage such as split ends and frizz. 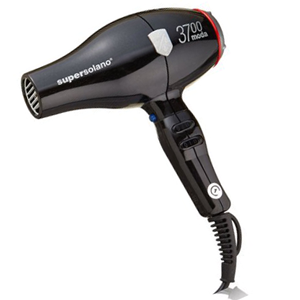 The Solano Supersolano 3700 Moda Professional Hair Dryer also features some very advanced Italian motor technology. The AC motor that it comes with has a reputation for running quiet (just under 70 decibels) and for lasting an extended period of time. This hair dryer comes backed up by a 2-year warranty also. The combination of its 1875 watts of power and its far infrared heat generation make it a hard model to beat when it comes to styling and drying curly hair. For one, that type of wattage is capable of generating the extreme high heat that is needed to make tough curly hair strands more pliable. Far infrared heat is beneficial for curly hair in many ways. It heats hair strands from the inside out which helps better break the strong bonds that curly hair molecules are known to have throughout them. Even though far infrared heat temperatures can get hot it’s still a very gentle form of heat for any type of hair too. 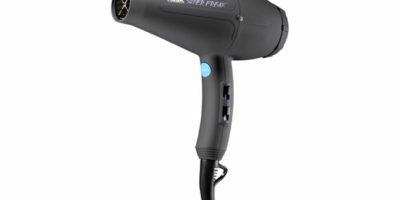 Salon professionals will probably like its extra-long 11 foot power cord but it will most likely get in your way if you are using this hair dryer at home. It also adds a little extra weight to this hair dryer when using it. Solano probably should have offered its customers a few choices in cord size when purchasing this hair dryer. Another general complaint that some users had is that the included concentrator attachments do not fit on well. They sometimes pop off with even a light bump. This would probably not be a hard problem for the manufacturer to rectify. After taking a closer look there is definitely a lot to like about this professional grade hair dryer. Not only does it blow dry curly hair quickly thanks to its 1875 watt heat and air generation power but with its different speed and heat combinations, it will help also style curly hair the way you like it. When you consider it also has far infrared heat technology, ceramic/tourmaline infusion, and a generous 2-year warranty, it really is a hair dryer worth taking a longer look at if you are shopping for one to use on your curly hair.